Impressive, right? It’s all part of a 10-year population health demonstration project called Hearts Beat Back: The Heart of New Ulm Project (HONU). Accomplishing those health achievements and then going even further does not come easy. It takes a lot of work by a lot of people to change a community’s environment to promote health. One group working to solidify the gains and achieve more is the HONU Food Environment Action Team, one of 11 action teams the project has for specific areas. The Food Environment Action Team was convened in 2017, in an effort to better align the priorities of relevant organizations throughout the community. 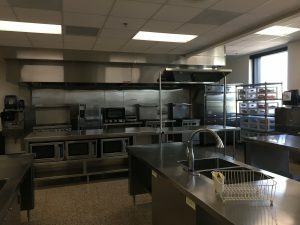 It includes partners from Brown County Public Health, University of Minnesota Extension, Allina Health’s New Ulm Medical Center, New Ulm Parks and Recreation, Hy-Vee, Turner Hall Restaurant, First United Methodist Church and the local public schools. One of New Ulm’s boosters and a member of the food environment team is Derek Hersch with the Minneapolis Heart Institute Foundation’s (MHIF) Population Health Team, which leads HONU in collaboration with New Ulm Medical Center and the community. HONU’s goal is not only to help improve the community’s health, but also to serve as a research project that rigorously measures and reports outcomes and develops leadership approaches that have the potential to be successfully replicated and sustained. Accordingly, Derek and MHIF want the action team’s work to help advance the goal of reducing heart attacks and improving disease risk factors. A few months back he reached out to me because he saw that what New Ulm was doing to improve the food environment were strategies in the Minnesota Food Charter. He and a colleague chatted with me about the goals of the HONU Food Environment Action Team. And by the end of the conversation, I found myself invited to join the team on a tour of a variety of food venues in New Ulm. That tour happened this past Wednesday, and included visits to New Ulm’s new high school, food shelf, food co-op, community garden, Turner Hall, Lutheran Social Services (LSS) Senior Center, and an innovative aquaponics center. All the visits were eye-opening, with passionate people working to do good for New Ulm while achieving their organization’s/business’ mission. 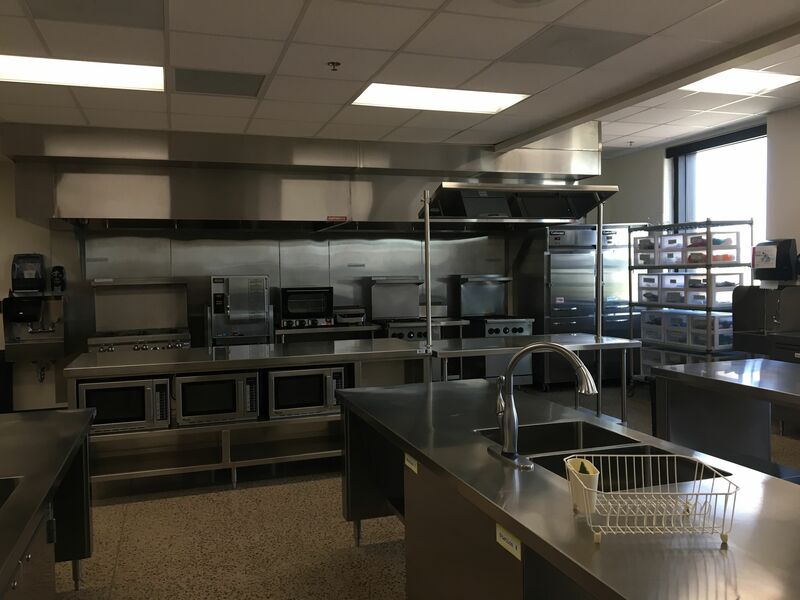 For instance, I found out that from the middle school’s greenhouse through culinary arts classes in the high school’s Family and Consumer Science classroom, students were engaged in projects that taught everything from how food is grown to how to prepare healthy meals. In fact, even early childhood education included young ones playing and learning in a garden. I learned more about New Ulm’s food insecurity response at the food shelf. At the food co-op, I heard from spirited volunteers working to improve the viability of the outfit (i.e., increase the number of members) and get more people to shop for locally grown food. At the community garden, I heard about the expansion plans as well as directly from plot owners their efforts to fight off rabbits. At the LSS senior dining center, I learned that they were also a Meals on Wheels distribution site for five and a half counties, which is part of a 250 – 300 meals served each day. And at the aquaponics center, I learned how the innovative owner sees the fish (i.e., yellow perch) as the cash crop that makes the rest of the operation possible. From its start in 2009, the entire HONU project has focused on increasing access, affordability, and availability of healthful food and beverage choices at restaurants, grocery stores, convenience stores, school concessions, and farmers markets. In partnership with local restaurants, they have helped owners and staff add healthier menu items (e.g., non-fried vegetables, unsweetened fruit, whole grains, smaller portions, and unsweetened beverages) to their offerings, create additional healthier menu items, and promote them to customers through the “Restaurant Program.” Based on the number of healthy practices offered, restaurants participate in the program at a Gold, Silver, or Bronze level, receive promotional materials from HONU to promote their healthful options, and receive guidance from a registered dietitian. In recognition of their participation, HONU promotes restaurant partners quarterly through newspaper, billboard, newsletters, or electronic communications, as well as on the HONU website. Which brings me to our visit to Turner Hall. The Hall is a non-profit with many things going on under one roof (e.g., a gymnastics center, a banquet hall). But my focus was on the restaurant, which is a Gold Star eatery. At first, the executive director was skeptical that adding healthier choices to the menu would meet the restaurant’s bottom line. But the salads, wraps, and half-size portions have been quite popular. The executive director is a convert. 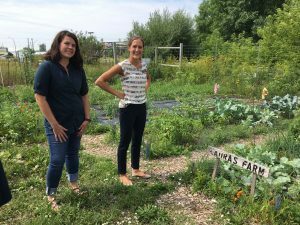 While great progress has been made in New Ulm, barriers still exist when it comes to accessing healthy, affordable foods throughout the community. And that relates to one thing that impressed me most about this tour (and the survey Derek is encouraging us all to fill out now that we’ve had a chance to soak in all that we saw). The Action Team is truly an action team. In the van ride between sites, each time the team engaged in a spirited conversation about how they could help the organization/business work through the barriers they were facing. Hats off to New Ulm and HONU’s Food Environment Action Team. I look forward to hearing and sharing more about your successes.